A new bus stop will be opened on routes 731N, 736 and 736A on Korsontie on Monday 12 December. 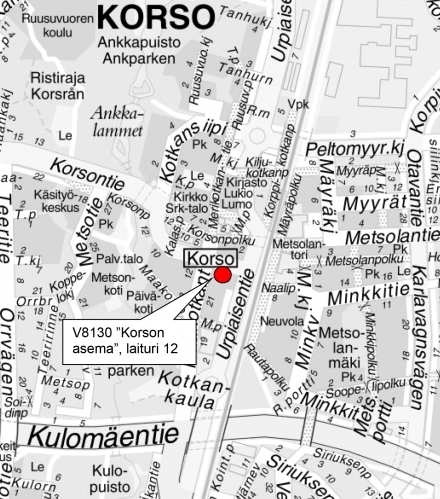 The new stop is "Korson asema" (Korso station, V8130) i.e. bay 12 at Korso station. The stop is served by eastbound buses.